Now that I feel I’ve got a handle on where I want my blog to go I’m ready to entertain the idea of guest posts. And guest posting. But I really have no idea of the etiquette and real world applications of guest posting. I have had a handful of emails from people hoping to gain exposure on my blog. Every email is extremely flattering, although I feel a lot of them are form letters. There is no way they spent much time reading my blog, and then are offering me something totally incompatible with my material. I mean a cleaning company from Singapore? No thanks. If your post doesn’t read like English is your first language, I’m not likely to share it on my blog. Saying no is usually pretty hard for me, but some of these guest post requests make it easy. I don’t feel badly refusing potential posts that have no tie-in to my blog focus. Sadly I have only received one offer that worked for me. You can read it here. It’s a cleaning post, but it reads pretty nicely and it fits my “busy life” focus of a working mom. How do you deal with incoming requests for guest posts? Any tips for me? Or places to connect with people who offer great guest posts? As a blogger I don’t actually have a lot of post ideas on the back burner. Some weeks ideas jump in my head so I jot them down, but that’s not always the case. So how do you create guest blogging posts for others? And how or where do you find people who want guest posts on their blogs? I know reading blogs is the best way to get anything done in the blog world. I might start by approaching those bloggers who I interact with regularly and see if any of them are open to posts from me. But then I need some ideas of what to share as a guest post! My plan is to get a guest post page set up on this here blog of mine. If you have a guest posts page, let me know so I can read a few and maybe steal some ideas for my own page! I’ll be sure to add the link to my guest posts page when it’s live. This is a January goal of mine, so if you’re reading this in February and there isn’t a link, call me out on it! And it’s up – here’s my Guest Posting page! Give it a read and let me know what you think. And if you have any words of wisdom from the world of guest posting, please share in the comments. I’m always looking for knowledge and help in the blog-o-sphere! I have a guest post here page. And yes, those that seem like form letters are basically that, kind of spammy people wanting to add their links on other people’s blog for google juice. I have a note in my guest post page that external links will be no follow unless I am familiar with and comfortable with the blogger. That stops a lot of them. I also have a canned response saved in Gmail so when I get a request email I just reply pointing them to my guest post terms page, and rarely hear back from the non legit ones. Your guest post page is very clear. I like the way it reads. I did get one up myself, now I have to edit this post! Thanks! Since I’ve starting thinking about guest posting (and hosting posts) I’ve been tweeting about it. I’ve actually had a few other bloggers approach me now, so hopefully this will help me expand my friends and followers in the blog-o-sphere! Ah, I’m sure it will. Good luck with it. I know, right? How do these people even start to think about approaching bloggers. Just take 2 minutes and look at my categories – and then don’t waste my time! Saying no is always hard for me, but not in the blog world. If it’s not going to work (or if it just reads like a sales pitch) it’s not going on my blog – end of story. Thanks for the comment – and hosting the linky! I’ve had some odd requests as well. Just this week I’ve had some great exchanges though. Keep an eye on this space for my new guest posting page with links to where I’m being hosted! I was attracted to your blog post because of the title and I’m keen to do the same, without really having much time to focus on it until now. I love your categories and maybe it would be good to add these categories to your guest blogging page to help rule people out. If you like, I’d be happy to write a blog post for you and I’d love to feature you too. I’m just thinking about going back to work full time after having my second child, but my role has been given away to my mat leave cover (!) so I’ve no idea what I’m going back to yet. Could make for an interesting blog post for your category of working mum. For my blog, it’s 5 questions on anything to do with parenting/expertise working with kids. I’d love to get your perspective on how your role as a working mum has or hasn’t had to adapt over the years as your children have grown. We can discuss the details by email if you’re interested. This sounds great to me! I’ll email you and we’ll see about working together. Thanks!! I’m glad to hear others are thinking along the same lines as me. My page will be up shortly – I’ll add a link to this post! This is a really interesting and authentic way to get the option and idea of guest posting out there. It really does move your exposure around in the blog community as well as give you experience writing across different genres. Thanks! I’ve seen a little engagement from getting this post out there. I did finally finish my Guest Posting page as well. It’s nice to have something I can direct people to! Thanks for the comment. I am just starting to receive requests for guest posts too, but like you a lot of them are from vendors overseas. 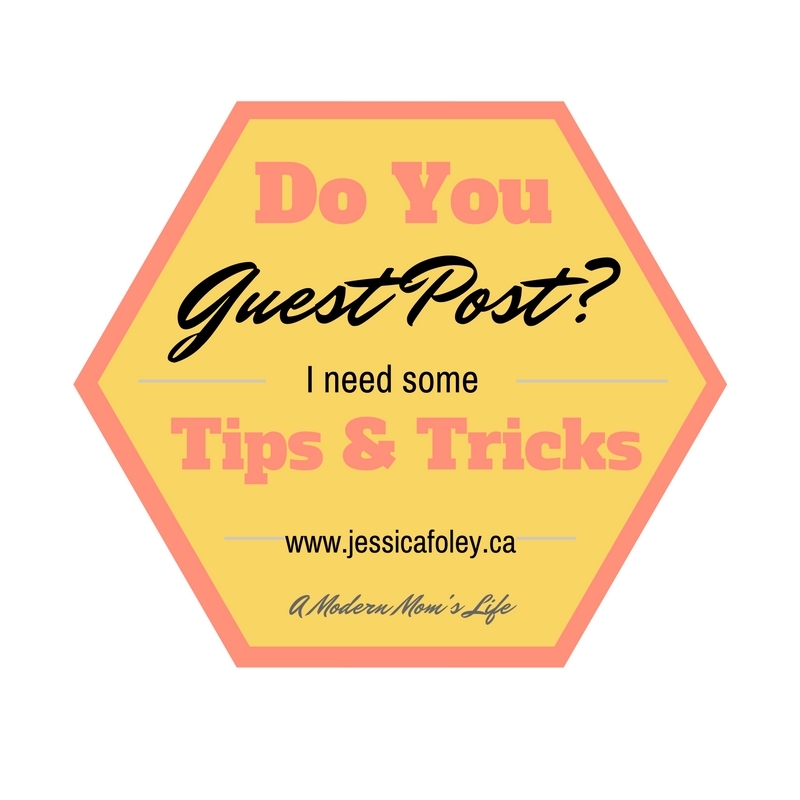 The idea for an actual guest post page is great! Makes the whole process more formal and efficient. With a page you can just direct your potential guest posters there and then they can decide if they have something that may fit with your genre. Good luck with it! I like this idea. I have thought about something similar but never quite new how to go about it. This is a great idea! Thanks Barrie! Once I started creating it the page mostly wrote itself. I’d say go ahead and make one! Did you get a page together Iveth? Once I really started thinking about it mine came together quickly. Best of luck to you! I also have a hard time saying no….And i can’t decide if i want to accept more guest posting or not, there are pros and cons to both for sure…. I think you’ll find it’s not as hard to say No when the fit is not there. You know you don’t want to waste your readers’ time. I always reply to requests, and now I give a quick summary of the niche areas I want to post about and leave it up to the requester to decide if they have something suitable. Most of the time they come back with something they think will work, and then I get final say. I’ve still said No after 2 different attempts by some companies. They usually thank me for my time.